Small Business Saturday was a big day for me. 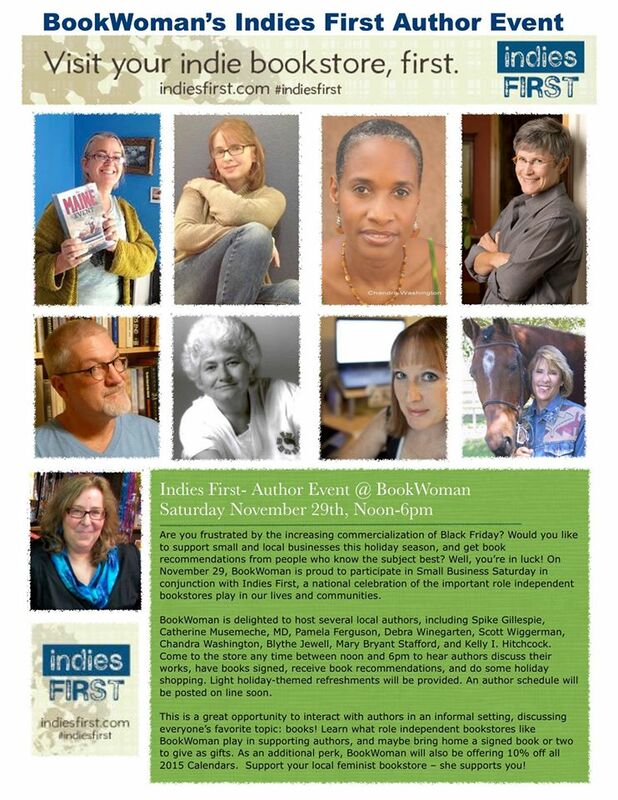 I did my second book reading at an “Indies First” event at the first bookstore I had the guts to approach about Portrait of Woman in Ink – BookWoman on North Lamar. It was a fantastic event and I had such a great time sharing with this great group of people and reading from my book. Since it’s Thanksgiving weekend, I got to drag the whole family along – my husband, my mother, and my sister. I’m tweeting here, not playing on my phone, I swear. 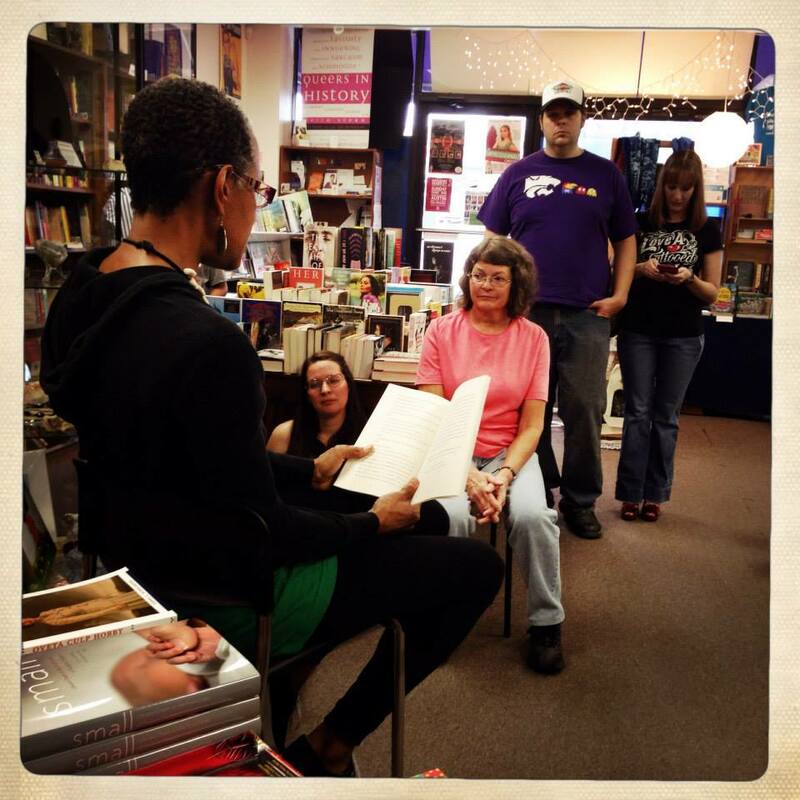 A big thanks to BookWoman for having me, to the other authors for making this a great event, and to all the people who came out to join in the fun and support these local authors!